Chewing can help you lose weight? Seriously? Yes, it can, but only if you do it right, says Brian Udermann, a professor at the University of Wisconsin-LaCrosse who studies health myths. A study published in the Journal of the American Dietetic Association in 2008 found that participants who ate a meal in eight minutes consumed 11 percent more calories than those who ate the same meal in 21 minutes — 645 for the fast eaters versus 579 for the slow eaters. The researchers also found that the slower eaters drank more water during the meal and rated the food more satisfying and pleasant. Look around on any college campus and you'll likely see hordes of students with heads down and thumbs furiously tapping away on their smart phones. A new study from Temple finds that this very act — texting and visiting Facebook — can help college students lose weight. Facebook group — these participants visited a private Facebook page to get eating and exercise tips and viewed podcasts on how to improve diet and exercise routines. Facebook-plus group — participants visited the same page, but also received personalized, one-on-one feedback from a researcher via text messaging. Control group — participants received no diet or exercise advice and were put on a waiting list to participate in the program. (Reuters) - Overweight adults eat less often than people in the normal body weight range, but still take in more calories and are less active over the course of the day, according to a U.S. study. By contrast, normal weight adults, including those who had lost a lot of weight and kept it off, ate more often, according to findings published in the Journal of the American Dietetic Association. Can weight loss reset health risks in heavy kids? (Reuters Health) - Overweight children who shed their excess pounds in adulthood don't face a higher risk of obesity-related health problems, an analysis of four studies involving children and adults in the United States, Australia and Finland has concluded. The findings don't prove weight loss in itself will eliminate the extra risks, but they mean overweight or obese children are not automatically destined for higher rates of diabetes, high blood pressure and heart disease. LOS ANGELES — If we are what we eat, we also may be how fast we eat. Two studies from the University of Rhode Island offer some insight into the relationship between how fast we eat and how much we eat. The first study compared eating rates and calories consumed among 30 men and 30 women at various meals. Researchers discovered that people who ate quickly consumed about 3.1 ounces of food per minute, versus 2.5 ounces per minute for medium-speed eaters and 2 ounces per minute for slow eaters. Time and again one hears on special foods for weight loss. With the search for a magic bullet for weight loss, some foods too have been tagged as negative calories implying that they have no calories. It is believed that one can lose weight by eating these negative calorie foods as they supposedly take more energy to process and digest than they provide in calories. For example, one will burn about 60 calories digesting a 15-calorie piece of celery, with a loss of 45 calories. This is because it is predominantly composed of water and indigestible fiber in the form of cellulose. Other examples include cabbage, cauliflower, broccoli, berries, turnip, radish, asparagus, grapefruit, cucumber, lettuce and spinach. By the end of last year, Jay Wornick tipped the scales at 366 pounds, raising the concerns of his wife, Angela. Frustrated by her inability to motivate her 30-year-old husband to lose weight, she decided she needed to make a play to his competitive side. So the Fulton, N.Y., couple embarked on a bet to start the New Year: Who could lose the most weight the fastest. Now, 11 months later, Jay Wornick is eating a lot less, and his wife is eating her words. "I thought I had this one in the bag," she said today on "Good Morning America," where her husband revealed his new 191-pounds slimmer figure to the world. "But he was determined." Obese teens who want to lose weight may not be going about it in the most healthy or effective ways, according to new research. Simply put, the researchers said, teens trying to drop the pounds don't seem to fully understand the link between exercise and calories. The analysis of nearly 44,000 adolescents who participated in the Philadelphia Youth Risk Behavioral Survey showed that, among the obese, girls who exercised still drank soda and boys didn't exercise at all. By using your weight and height, you can use the Body Mass Index (BMI) to find out if you are underweight, healthy, overweight or obese. If you don't want to do the math yourself, you can use BodyEngine to see you BMI and to prepare a fitness plan to reach your goal weight. Losing weight is such a challenge. This is not new and many of us know of this. But even more of a challenge is keeping that weight off. It's discouraging for many people and often leads them back to a life of yo-yo dieting. Keeping weight off is not easy but it's possible, and studies have been done that show many people to be successful. One study, with the National Weight Control Registry established by researchers at Brown Medical School in the U.S., offers a data base of over 5000 people who have lost and successfully maintained that loss. The study has shown that success is possible and has studied habits of people who succeed. This tutorial demonstrates how to set a diet goal in BodyEngine app for a 29 years old male, 5'10" tall, with weight of 190 lb. The user is Overweight according to the BMI scale and might want to reduce his weight down to 170 lb, which will put him into Healthy category. BodyEngine provides all the necessary tools to select a desired weight (without exceeding the safety selection zone and avoiding starvation), chose the date by which the goal weight will be reached (extending the goal date reduces the severity of the diet and allows for higher number of daily calories), and to estimate the number of daily calories allowed for the user in order to trigger the weight loss. Are we winning the battle of the bulge? Normal-weight Americans outnumbered the overweight for the first time in three years — at least according to Americans' self-reports of weight in a Gallup poll. A recent survey conducted as part of the Gallup-Healthways Well-Being Index found that the percentage of normal-weight people narrowly edged out the overweight — 36.6% of the population versus 35.8% — in the third quarter of 2011. It's the first time since January 2008, when Gallup and Healthways first started tracking Americans' weight, that the number of overweight people dipped below those of normal weight. 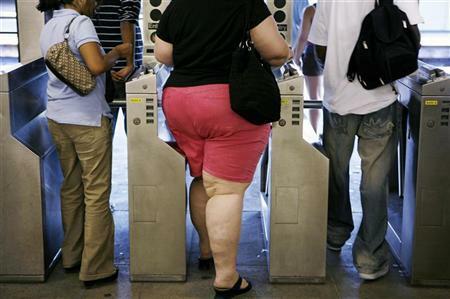 Nearly two out of three Americans have a BMI in the overweight range. When reviewing your BMI results [check out BodyEngine to find out your BMI], keep in mind that a BMI has its limits. For instance, BMI can overestimate body fat in athletes or others who have a muscular build. It’s also wise to review results in light of your gender because the recommended amount of body fat differs for men and women. Your BMI is an estimate of your body fat based on your weight and height. BodyEngine is an online app that integrates cutting-edge software with proven fitness and nutritional science to monitor your fitness state and prepare an accurate diet and activity plan to help you reach a desired goal weight. Unlike other fitness and diet solutions, BodyEngine offers highly personalized features based on your age, gender, height, current weight and activity level. BodyEngine's innovative visual interface presents a unique experience that is both fun and effective and will help you to finally achieve your desired weight at your own pace.